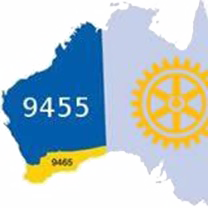 Rotary works hard to make a difference. In our local, regional or international communities we work together to support people to live their best lives. We all know how great we feel after a hot shower, and the pleasure of wearing clean clothes and sleeping in clean sheets. Orange Sky offer homeless people an opportunity to wash their clothes and to shower using self contained facilities. Their custom laundry and shower vans can operate from parks, shelters or wherever homeless people gather. Our club has committed over $36,000 over two years to the maintenance and running costs of an Orange Sky Hybrid Laundry and Shower van running in the Perth South area. Orange Sky Vans are also a great place for volunteers and people living on the street to talk while they wait for clothes to wash and dry. The pleasure of day-to-day conversation is an unexpected benefit for the volunteers and for the people living on the street.